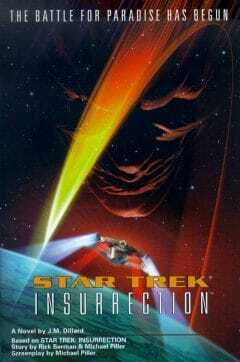 From the deepest, darkest reaches of space came the greatest threat the federation had ever faced: the Borg. Half organic/half mechanical, the Borg were relentless and bent on conquering and "assimilating" all intelligent life; a single Borg vessel destroyed 39 Federation starships, decimating Starfleet. Stronger and more dangerous than ever, they are ready to launch a new attack against the Federation, one that threatens its past... its present... and its future. 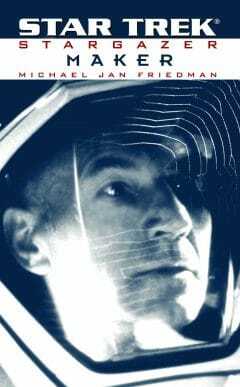 Only the courage and determination of Captain Jean-Luc Picard and his crew can prevent the Borg from striking at the heart of the Federation and Earth. 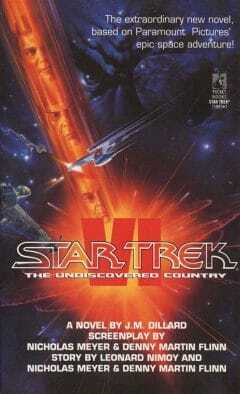 Picard learns that a newly developed super weapon has been stolen by a scientist with an insane plot. 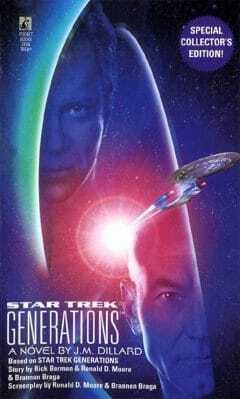 Facing the most difficult task of his career, Picard must seek out the one person with the power to help him, a person long thought dead: Captain James T. Kirk. 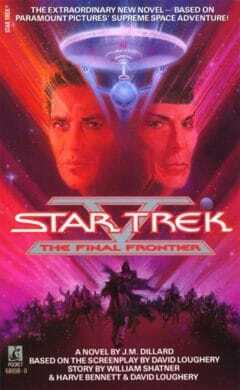 Longtime enemies of the Federation, the Romulans have expressed their desire to initiate negotiations. But upon their arrival on Romulus, the Enterprise crew is faced with a threat that could lead to the destruction of planet Earth. 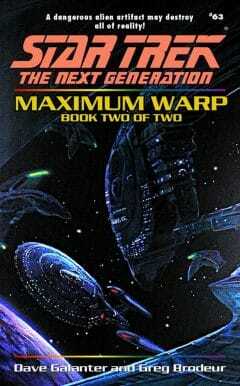 Starfleet has discovered a secret with astounding implications that could transform the future of the entire Federation. Faced with orders he cannot obey and a crisis he cannot ignore, Picard finds himself torn between his conscience and his uniform. Eighty years after bodiless entities were captured after causing violence and bloodshed, they are set free and start to possess the minds of the crew of the Enterprise, creating chaos and distrust among the crew members. 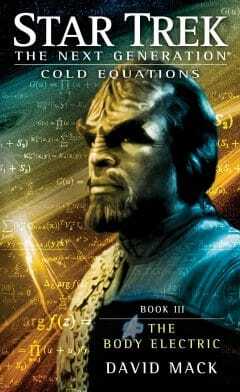 A treacherous assassination brings negotiations between the Federation and Klingon Empire to a sudden halt and places Kirk and Dr. McCoy in the hands of the Federation's greatest enemy. Captain Picard, his ship repaired, must now reassemble his crew. Once again, the captain hears the song of the Borg collective. 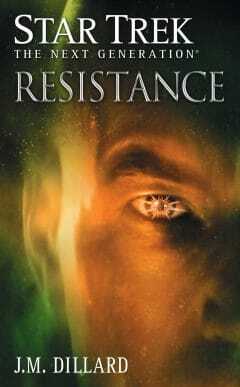 Admiral Janeway is convinced that the Borg have been crushed and are no longer a threat. Picard believes she is wrong. 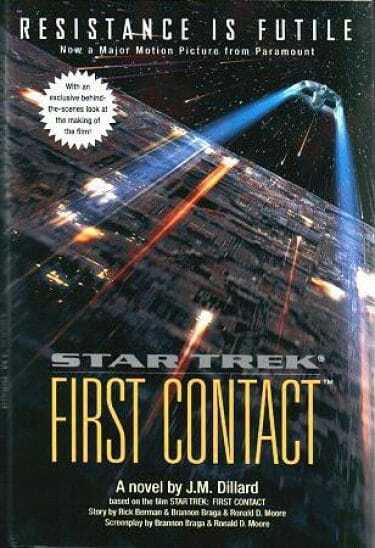 After a mission of rescue to Nimbus III, the crew of the Enterprise find themselves on a much more dangerous and disturbing journey, to the center of the galaxy and the forbidden secrets it holds. 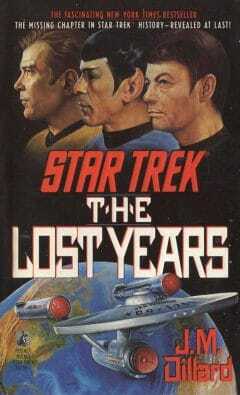 Admiral Kirk attempts to defuse a critical hostage situation, Mr. Spock finds the one thing he least expected, and Dr. McCoy finds himself in the middle of an incident that could trigger an interstellar bloodbath. 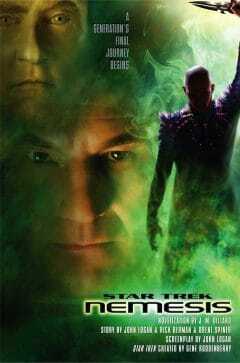 Picard and his treacherous Romulan allies discover the source of the subspace crisis, a huge alien mechanism suspended between a black hole and a nearby inhabited planet. 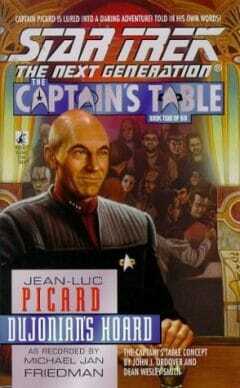 Picard finds himself confronted with a difficult choice of sacrificing a world and saving the rest of the universe. Ensign Andreas Nikolas has resigned his post on the Stargazer to seek a home on a freighter, which is taken over by a monstrous alien with unbelievable powers and a disdain for all forms of life. Without saying why, the alien sends the freighter hurtling toward a part of space inhabited by the Ubarrak, the Federation's deadliest and most xenophobic enemy.